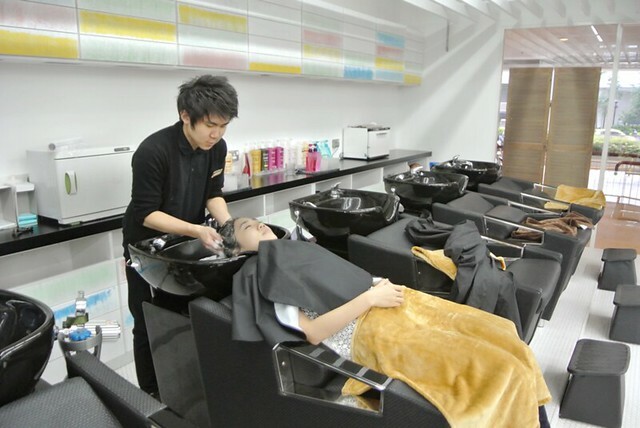 Emma Soh: My 10 Tips for Healthy Hair & Hair Fall Remedies! This is a trick for shiny hair and hair loss prevention! Before this, I suffered my dry and itchy scalp with red patches. I used hot water to shampoo my hair, my hair was so dry and flaky, and there were a lot of hair falls on the ground. 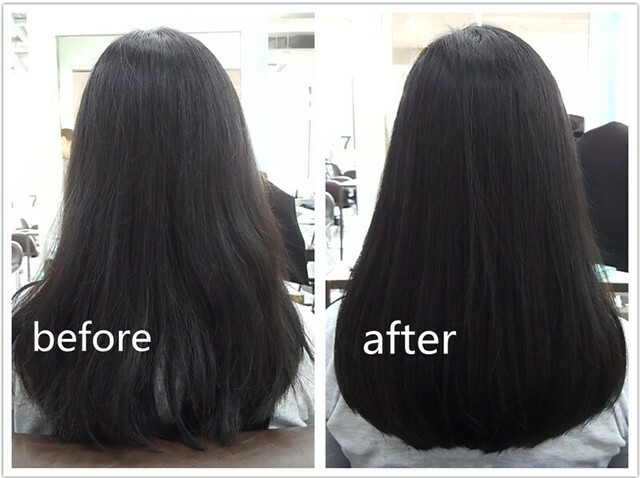 After I started to use cold water to shampoo my hair, my hair loss was reduced at least by HALF. I'm not kidding, this is game changer in my hair care routine! I'm sure everyone knows this, if the shampoo isn't right for you, change it. I never skip the conditioning step, and I use hair treatments at least once a week. Tips? Squeeze out the excess water out of your hair before applying conditioner or treatments. And leave-in conditioner too! I've friend who could wash his hair up to 3 times a day? I wash mine every alternate day but I think maximum hair wash per day is only one. Before entering the swimming pool, I will spray on some treatment water. Or you may DIY yourself with CONDITIONER + WATER with the ratio 1:1. Wear a swimming cap when you swim too! The hair is at its fragile state while it's wet, do not comb them until they're all dry. I used to had very very dry hair and if I comb my hair, my hair falls a lot. Things get better and I started to comb my hair but my sequence will be using a wide tooth comb and start to work my way up from the bottom, very gently. Then only I use a regular comb to comb my hair. The steps sounds like more tedious but it's worth it! I'll use scalp shampoo once a week to clean the excess oil or dirts that might clogged up on my pores. When my hair is dry, I will use conditioner to smooth my hair first before shampooing, then apply conditioner again after shampoo. Healthy scalp, healthy hair! I go to salons once a month to get my scalp treated. I had a very sensitive scalp (itchy and redness) but now they're all gone! Cold water shampoo does the trick but scalp treatments are important too. 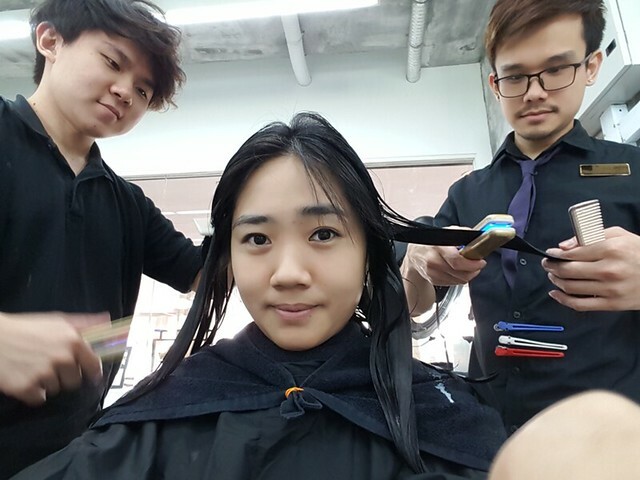 If you don't have the budget, you may go to hair salons that provide scalp scanning to learn about your scalp, then consult the hairstylist what you should do/ change on your regular hair care routine. My favourite scalp treatment from Number76 is Tansan Sparkling Wash with Kerastase Scalp Treatments and Shiseido Adenovital (5 steps scalp treatments). The Ultrasonic Treatment from Number76 is the magic! No matter how much I take care of my hair at home, nothing beats this treatment. I guess it's because of the device they use helps the products penetrates deeply into my hair. When my hair gets super dry, I will go for the ultrasonic premium. Scalp and hair care are actually correlated. For once I thought my hair fall issue was only caused by my scalp but it was because of my coarsely dry hair too! Drier hair means more friction and the hair tends to break more easily.